After a long I got some time to write post. 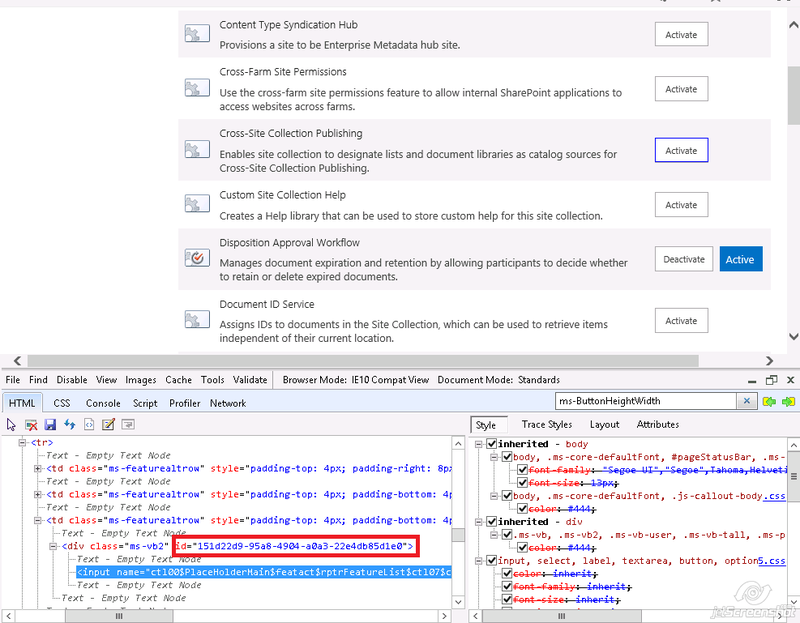 While working with SharePoint many times we need to get the feature ID of custom or out of box feature. Example if I want to activate or de-activate the feature or for other purpose. Basically what we need to complete this operation, we need ID of the feature to complete the activation or de-activation operation in PowerShell. So what is the easiest way to get the feature ID. We can use the same ManageFeatures.aspx page using which we can activate or de-activate the feature ID and developer tool of browser. Select the Activate button of the feature whose ID you wanted to know. Check immediate parent div in developer tool, it will have an id attribute which is nothing but ID of respective feature. Hope this will help you to save some of your time.